Vaibhav leads the risk modelling function at IFMR Capital in Chennai where he focuses on developing in-house models to measure various risk and performance metrics for the commercial and structured finance portfolio of the company. He has more than five years of experience in the domain of financial risk management across various product types and different asset classes ranging from commercial vehicle, small business loans, affordable housing finance and microfinance. Prior to this, he has worked with Ernst & Young’s Financial Services Risk Management division as Senior Consultant in Dubai and Muscat, where he primarily worked with commercial banks on implementing the BASEL II’s Internal Capital Adequacy Assessment Process (ICAAP). Apart from financial risk, his area of interest includes long term debt markets in developing economies. Vaibhav completed his B. Tech. in Engineering Physics from IIT Bombay and PGDM from IIM Lucknow. 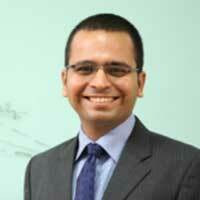 He is also a certified Financial Risk Manager (FRM) from GARP, USA.